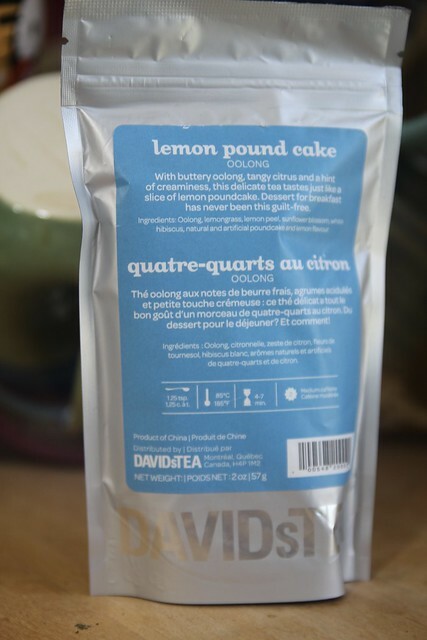 Another tea I added to my recent order from David’s Tea is their Lemon Pound Cake tea. From the ingredients list, Lemon Pound Cake contains oolong, lemongrass, lemon peel, sunflower blossoms, white hibiscus and natural and artificial poundcake and lemon flavor. It comes in multiple increments of 2 oz. for $10.98 per 2 oz. When I first opened the package I got vanilla pound cake smell, followed by a bit of tangy lemon. It smelled sweet and delicious. Once brewed I got more of a lemon tea smell. Despite the oolong tea in the blend, it tasted light and lemony. 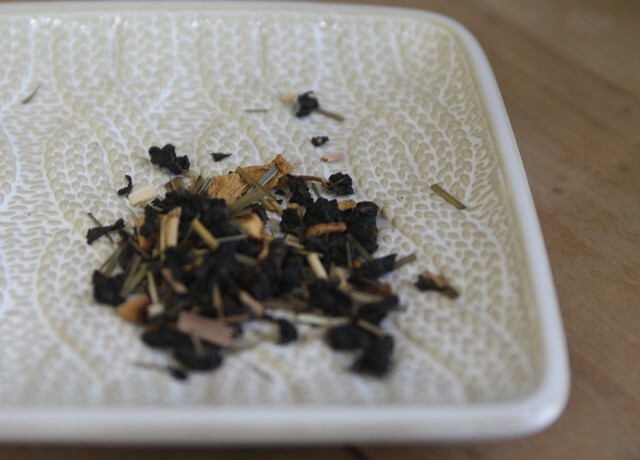 This is a delicious dessert-like tea, that I really enjoyed mid-afternoon. I think it would be great with cake, or on a cold winter day for a bit of a lift. Next Episode 161: A long absence.